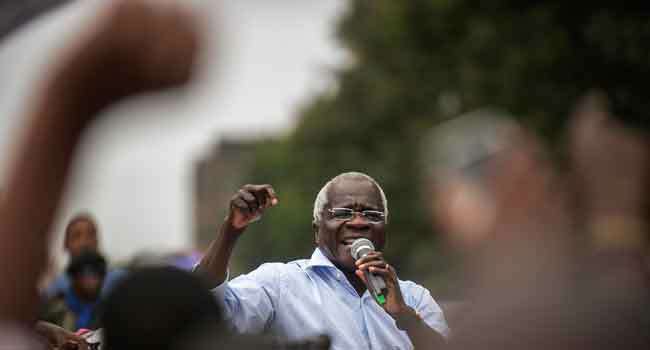 Mozambique’s Renamo opposition party on Saturday named Ossufo Momade as its interim leader after veteran chief Afonso Dhlakama, who had headed the party for 39 years, died unexpectedly. Momade, a former secretary general of the party, will take over until Renamo’s next Congress, which has not yet been scheduled. Dhlakama’s death on Thursday pitched the country’s nascent peace process into uncertainty as he had opened face-to-face talks with President Filipe Nyusi after a renewed outbreak of unrest that ended in 2016. Momade “was unanimously elected as coordinator of Renamo’s national political commission,” party spokesman Alfredo Magumisse told reporters in the central city of Beira. Momade told reporters that he was committed to Dhlakama’s peace efforts. “We are not going to do anything other than what he initiated,” he said. Dhlakama, who died at aged 65, will be given an official funeral on Wednesday in Beira before being buried in his home village Mangunde, more than 200 kilometers (125 miles) away, the following day.